We offer the full spectrum of services to help you create the home you love. We are a creative company, where great design is paramount in everything we do. Jo Buckerfield, our design director, studied furniture design at degree level, graduating from Kingston University in 2000. 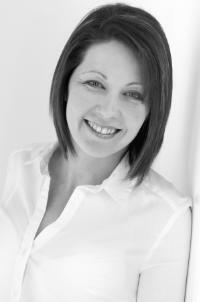 Jo's education, background and experience make the the ideal candidate to design your new kitchen. Jo's flair and passion for kitchen design shines through her stunning portfolio. This is a fully bespoke service and each kitchen is unique. Jo explores every creative avenue with her clients to ensure that she creates a space that works in harmony with your family and lifestyle. Every detail is taken into account, ensuring the finial design is perfect for you. The modern kitchen renovation requires a range of disciplines that need to be carefully combined in order to create the perfect space. A vast number of our projects require structural alterations to the house, extensive electrical updates, plumbing modifications, floor tiling and wall decoration. We provide solutions for all aspects of your renovation so that you can enjoy peace of mind, knowing that we've got everything under control for you. No two projects are ever the same and that's why we don't offer "cookie cutter" solutions. Our service is completely bespoke and tailored to your needs. For some clients that might mean us looking at every aspect of the kitchen project, whilst others may wish to pick and choose from our extensive list of services. The choice is yours. Design only, design and supply, installation, building work, decoration and soft furnishings. We have you covered. All we need to do is start the conversation and process will develop from there. There's no pressure, we go at your pace and aim to keep you from being overwhelmed by the scope of your dream kitchen. The kitchen and interiors industry is awash with sales people claiming to offer a design service. However, only a small minority can call themselves qualified designers. We feel that kitchen designers offering a high quality, bespoke service should have formal qualifications behind them. Jo Buckerfield is a qualified designer achieving a degree in furniture design from Kingston University. Her years of study and professional experience will ensure you are in safe hands. We get to know your family, tastes and lifestyle to create unique home designs to meet your needs. If you require building work, we’ll make sure you have the right people for the job through our network of reputable architects and builders. We oversee the entire renovation process — we’ll keep you updated with our progress so you won’t have to worry about a thing. We can supply the latest furniture and appliances from major brands, all of which come with full manufacturers guarantees. Our team will remove existing furnishings and install your new furniture, taking care of any plumbing, electrical work, tiling, and work surfaces. Every element of your space is important, and we can advise on colour schemes, lighting, flooring and soft furnishings. Our process is built around bringing your ideas to life. We incorporate your needs, aspirations and tastes into the final design, going beyond the limitations of bricks and mortar to create something special and unique. Once you get in touch with us, Jo will arrange to meet you at your home to check the existing space, get to know your needs and problems, and chat about your design ideas. You can also visit the studio where you’ll be able to see past projects, take a look at the quality of furniture on offer and decide if Your Space Living is the right company for you. Jo will then provide design proposals and costings based on your brief, and create a work schedule that fits around your diary. For those needing structural building work, we’ll put you in touch with our network of architects and builders, and make sure that you have everything you need. Once you are fully satisfied with the plans, costings and work schedule, a start date is agreed and the project begins in earnest. That's when all the dreams and plans become a reality. All work is overseen by Jo and the team — all you’ll have to do is arrange home access and relax while we take care of the rest. The costs of installing a new kitchen, updating a living room or remodelling a bathroom depends on the complexity of the project and materials. While our projects start at £15,000, keep in mind that our unique designs and renovations are an investment for our clients that increases the value of their home. We only work with quality brands who share our vision. Our German kitchen brand of choice is Pronorm. This award winning manufacturer offers a wide range of design options for creating stunning Contemporary Kitchens. Kitchen-Stori provide us with a beautiful selection of In-Frame and Classic doors that that help us create amazing Traditional and Shaker kitchens. Our stone and quartz worktops come exclusively from the Cosentino group. Whilst Corian supplies another solid surface option for those looking for unparalleled flexibility. We are also a main dealer for NEFF and Siemens, which enable us to supply the latest ovens and appliances from industry leaders.